The Vons in Boulder City will become a Haggen in 2015 as part of an agreement for the Bellingham, Wash., chain to acquire 146 stores from Albertsons and Safeway as the companies merge. The sale is required by the Federal Trade Commission as part of the merger agreement. According to Carlos Illingworth, director of public affairs and government relations for Vons, a Safeway chain, the company must divest 168 stores in eight states to obtain antitrust clearance for the merger. Among the divested stores are 32 Vons, the Boulder City location at 1031 Nevada Highway and three others in Las Vegas. Three Albertsons stores in Henderson also will be acquired by Haggen. Additionally, Haggen will acquire stores in California, Arizona, Oregon and Washington. Once the sale is approved, Haggen will expand from 18 stores with 16 pharmacies to 164 stores with 106 pharmacies and add more than 8,000 employees. The deal is expected to close in January, with the stores converted during the first half of the year. The Boulder City store will remain open throughout the conversion, according to a Haggen spokesperson. Haggen has agreed to hire all employees, including the 66 working at the Boulder City store, Illingworth said. 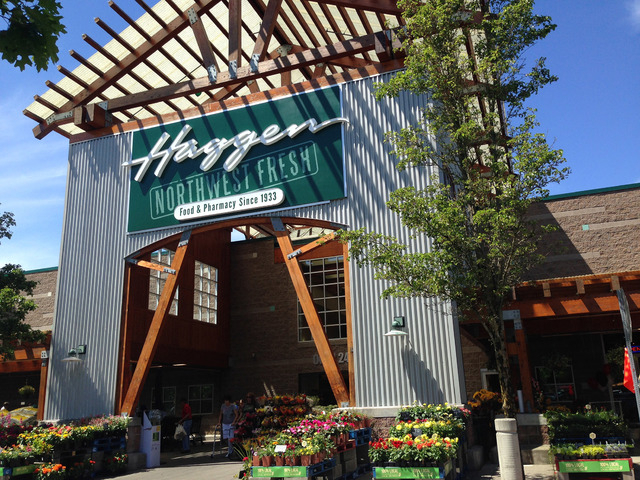 “We warmly welcome these new employees and stores into the Haggen family. The stores are well run and very successful, thanks to the dedicated store teams,” said John Clougher, Haggen CEO, Pacific Northwest. Joining Clougher to lead the company will be Bill Shaner, who will be responsible primarily for the stores in Nevada, California and Arizona.